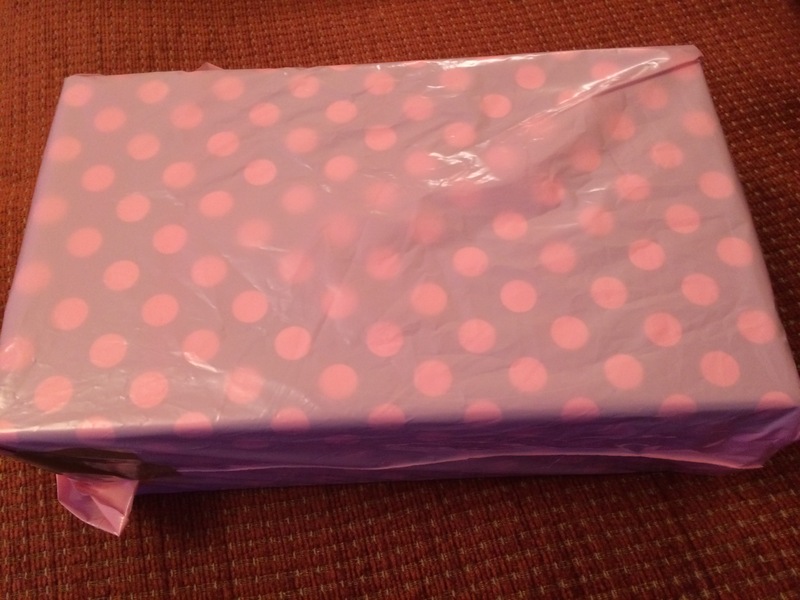 This month, I sent my parcel off to Alice in London, and in turn, I got my parcel from Rachel in Liverpool. It’s probably one of my first all-British swaps in a long time. 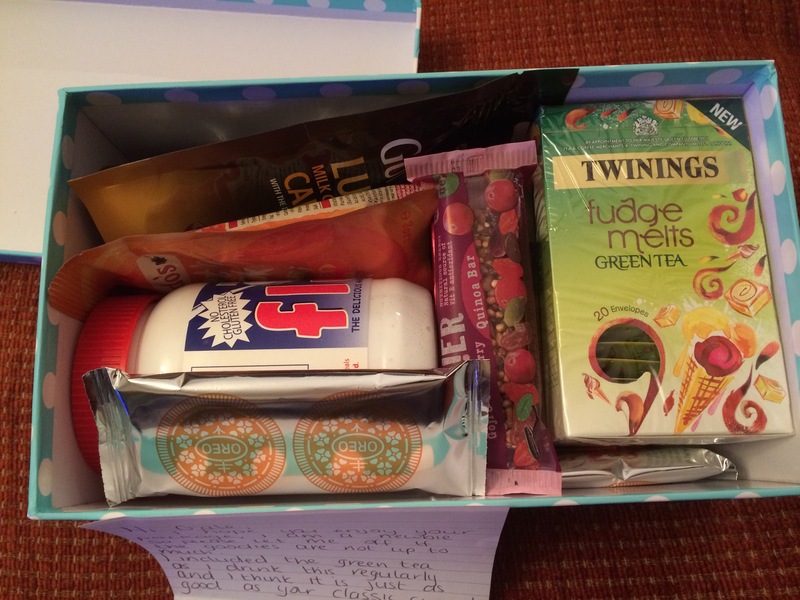 Rachel was assigned to me as her very first foodie penpal experience. I started thinking back to a couple of years ago when it was my first time. I remember it being very nerve-racking, and in hindsight, knowing what I know now, I’d love to do the first couple of people again. However Rachel seems to have skirted the ‘nerves’ issue, and she produced a most wonderful box of goodies for her first time out of the gate. 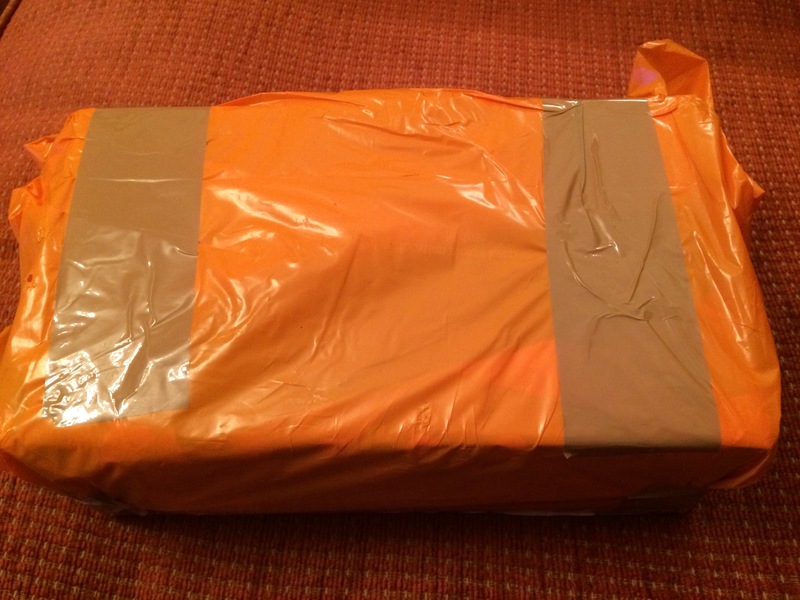 In honour of Halloween, I received a pumpkin orange parcel. Of course it was just a Sainsbury’s plastic carrier bag (other supermarket bags are available) protecting the box, and I did ask if she wanted me to refund her 5p for the bag, but she declined my offer. But I thought how appropriate it was to have a Halloween orange box this week. So after carefully peeling the pumpkin box, I reached layer number two. This was looking interestinger and interestinger. And like the most exciting game of ‘Pass the Parcel’, I peeled off this pink film to find . . . I finally got to the prize! 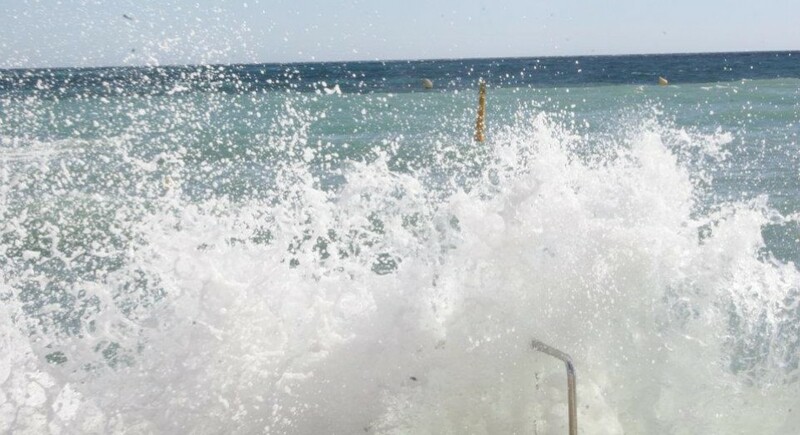 But it was so fun to have layers to get through first. And this is what greeted me when I took the polka-lid off. My heart started racing immediately. See that magical looking red ‘f’ there in the middle of the box? I KNOW WHAT THAT MEANT! And if I had a heart condition, it I would have been in trouble as I also spotted some familiar cookies in the box, too. But more on that later. 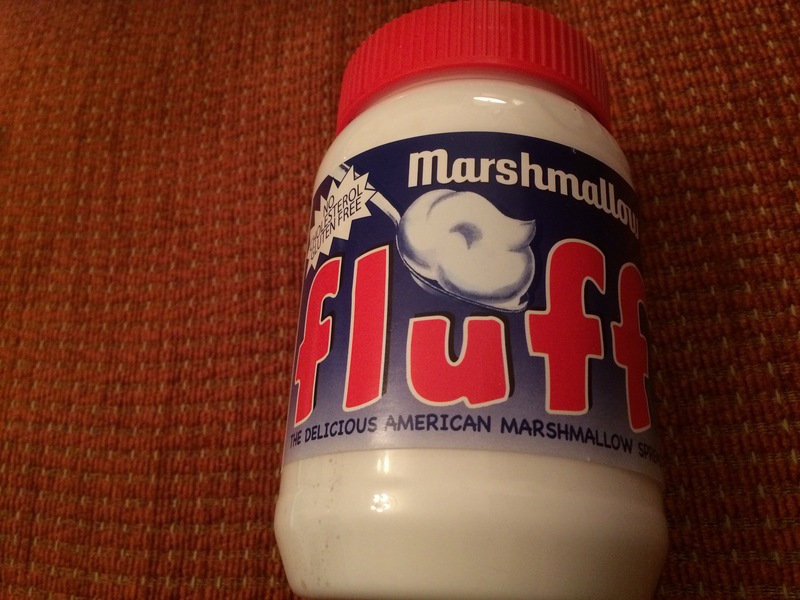 Of course my hands went straight for the fluff. For those of you who have never experienced a fluffernutter, you don’t know what you’re missing. I’ve already decided to make fudge with this. Marshmallow fluff makes the most delicious fudge. I seriously encourage you to explore this opportunity (after you make a fluffernutter, of course). And because the human mind always goes to the familiar first, I reached for these next. I so rarely buy these here, so I was delighted to have them provided to me without any effort. Before I open these though, I need to buy more milk. 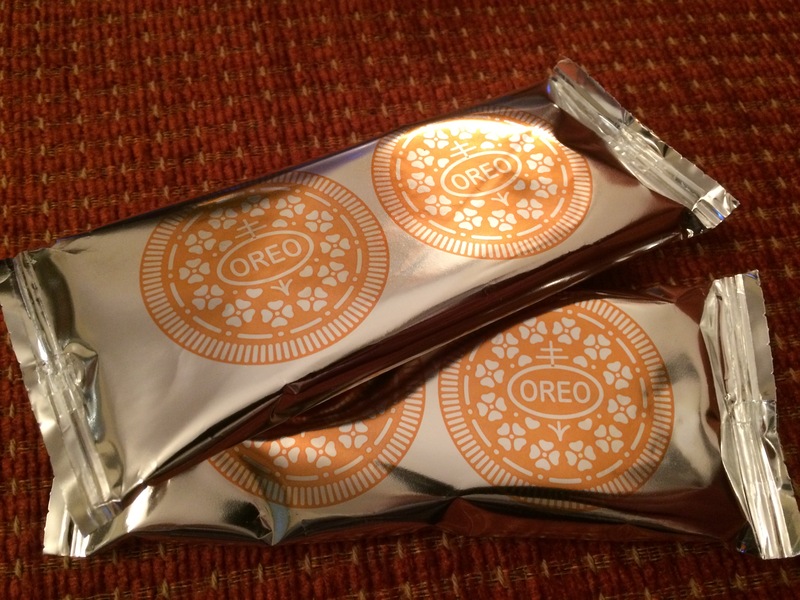 You just can’t have Oreo cookies without a lot of very cold milk. It’s the best. I next reached for this large box of tea. So I have this theory in my head that trendy ‘green tea’ that is sooooooo good for you, will taste awful, as most things that are ‘good for you’ do. 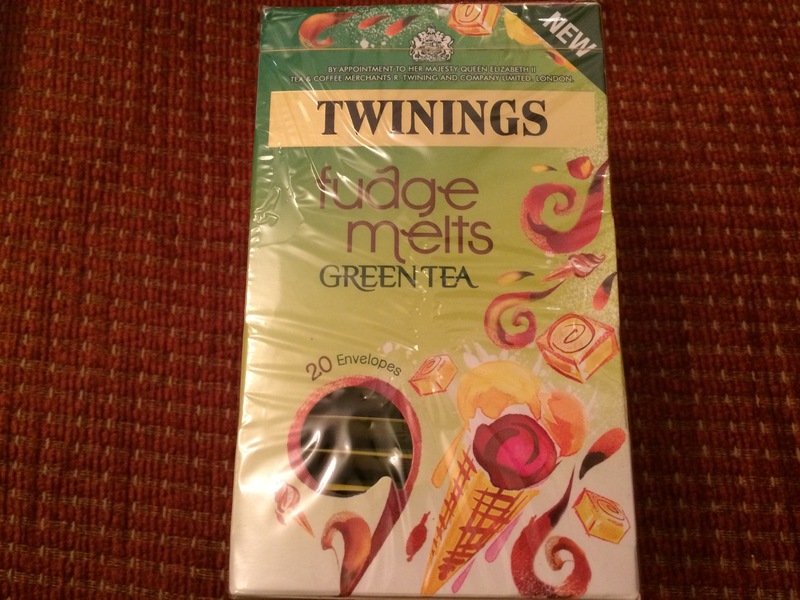 But how on earth can a tea named “Fudge Melts” taste bad, I ask you? I am really looking forward to brewing this up. I am picturing it enveloping the entire house in a blanket of chocolate scent. What could be better? I next spied a familiar logo. 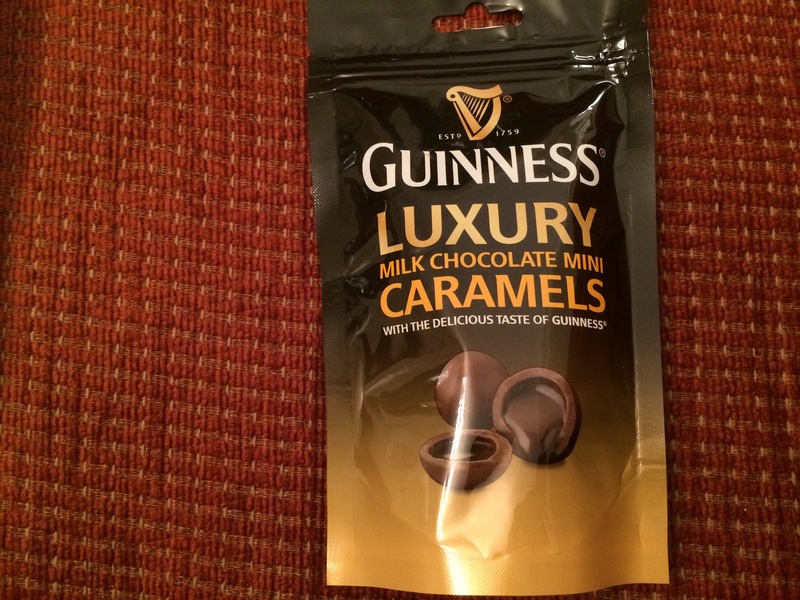 Rachel had included a package of Guinness mini caramels, wrapped in chocolate, and they taste like Guinness. Now’s the time that I confess that even after living in this country for almost 30 years, I have never tasted Guinness. I love the way it looks. But I really want it to taste like a root beer float. And I suspect it’s not going to. So as not to dispel my imagery, I have avoided tasting it. However, I feel mixing it with chocolate and caramel would be fine. It would be like tasting it, without having to compare it to a root beer float. Those will be open tonight after dinner, I think. Ahhh . . and finally something I can claim has a ‘healthy’ label . . . 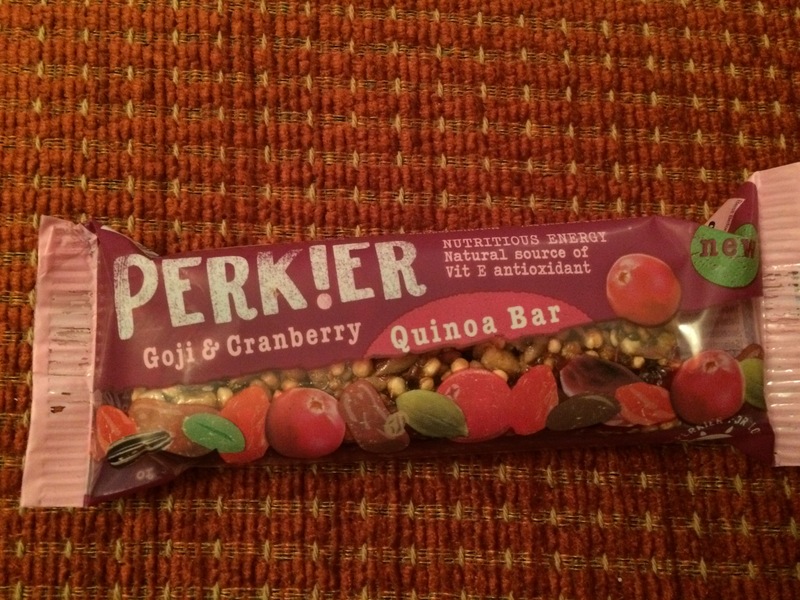 I have had Perk!er bars, but haven’t tried this one. However, I love quinoa AND goji berries and cranberries. So it’s a winner all ’round, right? This looks packed full of goodness. Next, I found these two packages. 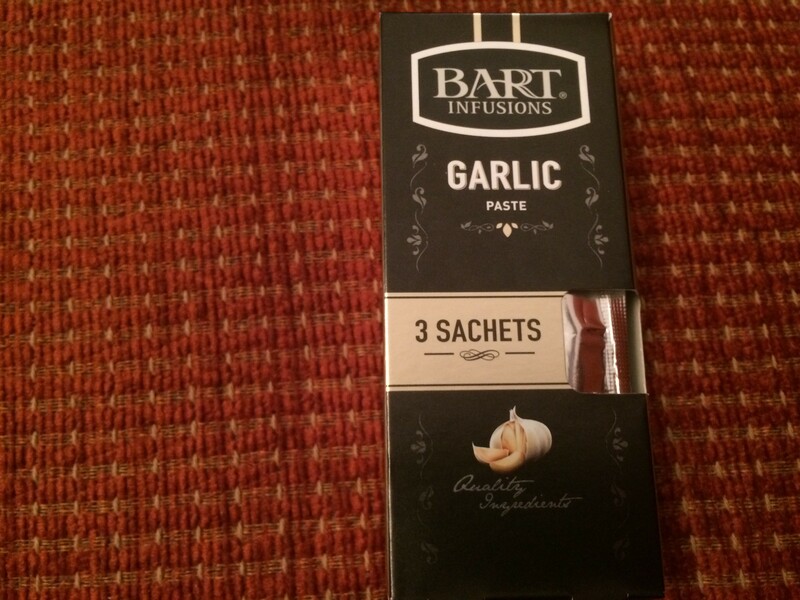 I cook with fresh chilli and fresh garlic ALL the time, so I was very excited to see these. What a great way to always have these things on hand, especially if you’ve just run out of the fresh stuff. 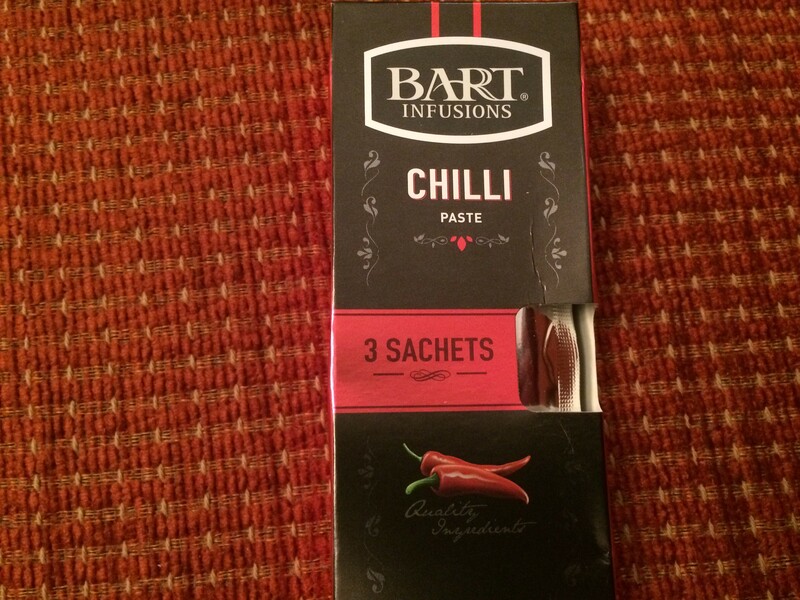 And finally, the last pouch I pulled out was one of my favourite flavours of all time. 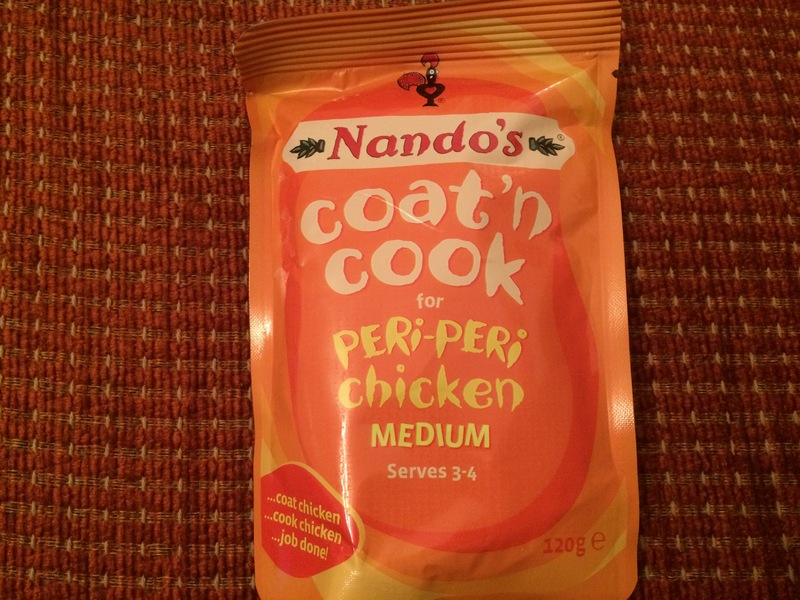 I love Nandos chicken, and now I can do it at home without having to put up with having to go up to the counter to order my food. I even have (pretty much) unlimited soft drinks here, too! 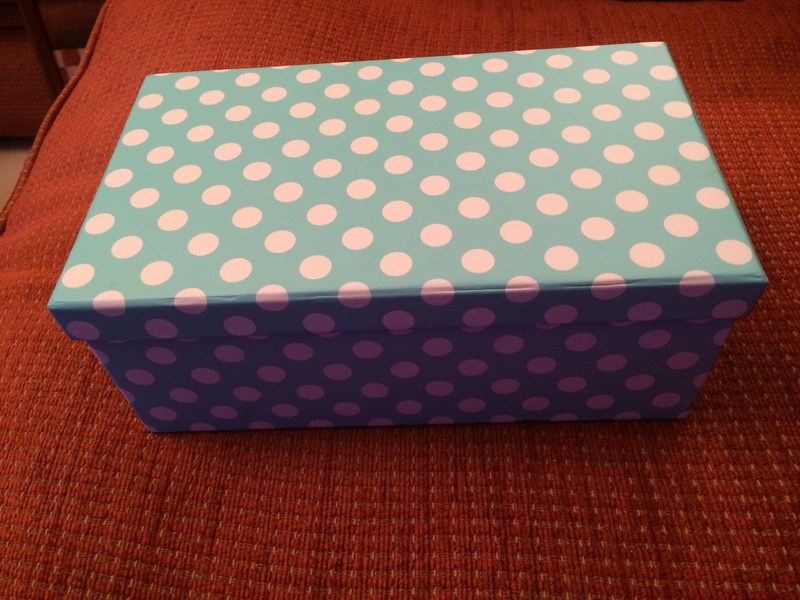 So Rachel – your first parcel was outstanding. I hope yours was as spectacular as this one was. You really couldn’t have picked out better things for me, and I thank you for that. Well done, Rachel. A gold star for your first time!